Surely this is a troll? 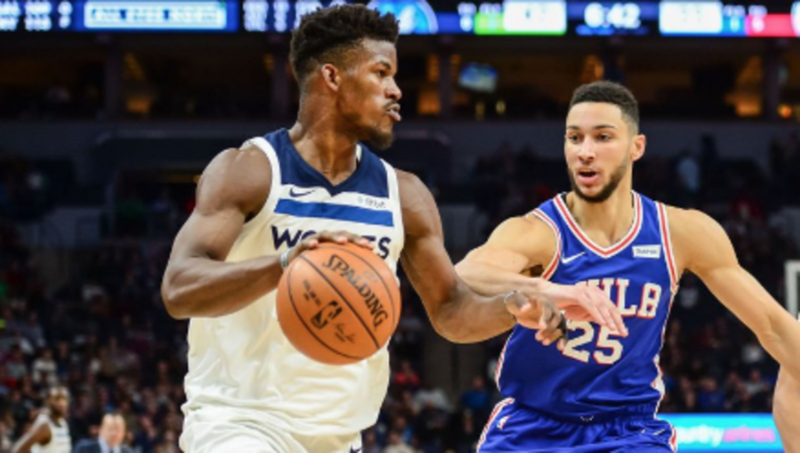 ​We know the Timberwolves want to get rid of Jimmy Butler. But c’mon, guys. At least propose some realistic offers. With all the excitement going on right now in anticipation of the new NBA season, many fans out there are only going to be able to shake their heads at this. Jimmy Butler is a great player. There is no denying that. But trading Butler for ​Ben Simmons? Really? We have a tough time imagining the ​76ers listening to that offer with a straight face. Take the most recent Rookie of the Year, or the older player with more mileage and a tendency to cause drama? Yeah, that decision is a no-brainer. Simmons offers an unlimited amount of potential for the 76ers, and had an unbelievable rookie season for them. They would be insane to trade him for Butler, despite how good he may be. At this point in Butler’s career, it is very clear where he stands in comparison to the other stars of the league. He is a star himself. But he’s not a superstar. Better step your game up, Minnesota.